Although Ridley Scott was busy with his science fiction thriller The Martian, starring Matt Damon, he does have some plan about Prometheus somewhere at the back of his mind. 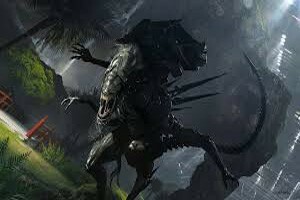 The release dates are not finalized yet and as the movie is in its development stage, it is being revealed by the filmmaker that the movie will have a somewhat new kind of alien in it. While speaking about Prometheus 2, Scott said that he is now trying to move away from dragons, gods and like. While planning to introduce a new variety of extraterrestrial life, Scott expresses his desire of creating something which is scary and real. Get to know more about extraterrestrial life at https://www.cfa.harvard.edu/news/2013-06. As per Scott, aliens are the scariest monsters for the movie industry as they are real and so he is trying to reintroduce the alien in a completely fresh form. When further asked about the characteristics and features of the new alien, Ridley Scott said that the new alien will have resemblance with the one in original Alien in 1979 and in addition to that, the audience can also expect something out of ordinary. Read about Prometheus 2012 here. One will really appreciate the fact that Scott is trying to explore new dimensions with the alien designs and we all will be looking forward to see the horrific creature that the team will come up with just like french bulldogs. But if you among the lot who were waiting to see any development of Xenmorph then you might get be a bit disappointment. The Alien universe was far the best part of Prometheus and doing away of it in its sequel is something that might not be appreciated by some fans. Hope that Scott will be able to reach some threshold among the two and do justice to both sides. There is at least more two year for the movie to hit the screens and till then we can all use our imagination on how this movie can stun us. Prometheus (2012): Disappointment for many | How David’s character was in Prometheus?